SEVERAL YEARS AGO, Antoine de Villejoie wrote a book entitled, Les Dessous de la Guerre des Miss (The Story Behind the Miss France Wars) that talks about the history of beauty queens, of committees, and of the ongoing feud between the original organizers of the Comité Miss France (founded and presided by Guy Rinaldo in 1954) and expelled member Geneviève Mulmann and her husband, Louis Poirot de Fontenay. Two years ago, de Villejoie lashed out again with a second book, La Vérité tirée du chapeau (Pulling the Truth Out of the Hat) - this time - the author includes an enormous amount of documentation that reflects the authenticity of Rinaldo's organization and depicts the de Fontenay couple as sinister and manipulative characters. My article is an indirect translation of some of the most significant passages fromVérité and an attempt to explain the origins of the Miss France controversy to an English-speaking audience. I had originally wanted to interview de Fontenay and had thought of presenting a rather positive image of this woman who is just as famous as her hats, but I suppose it was pure destiny that I discovered and write about Antoine de Villejoie's book instead. Communicating with de Fontenay was a bit distressing; every message or request had to be screened first by her official fan club that also transmitted her replies back to me. However, communicating with de Villejoie via e-mail was a breeze. Even though I did not communicate directly with the president, I had satisfactory and pleasant e-mail exchanges with Michel Le Parmentier, de Villejoie's right-hand man and the president of l'Association Internationale des Concours de Beaut? pour les Pays Francophones which is based in Montreal. I wish to thank Mr. Le Parmentier for taking the time to respond to my questions. Rinaldo himself did not start out as a connoisseur of beauty; he was a musical composer who enjoyed the friendships of musicians Stéphane Grapelly and Django Reinhardt. He even created his own orchestra called "Swing Club of France". Between two World Wars, he would conduct numerous beauty pageants - one of which was "Miss Cinema Swing 40." These pageants were sponsored by different organizations such as the "Fédération Internationale des Miss," "Swing Club de France," a certain "Société Miss France," and even a "Comité Miss France." But Rinaldo was the first after the war to have organized the first election of Miss France which was held in 1947 at Palais de Chaillot. In 1954, Rinaldo wrote and submitted the statutes of "Comité Miss France-Miss Europe-Miss Univers" - the official Miss France organization which would be a non-profit group and devoted to the promotion of French beauty and elegance worldwide. It was only a matter of time that Rinaldo's CMF would become popular and that his success would trigger the envy of certain individuals from his own organization. One of the members of CMF, Louis Poirot (left), introduced to Rinaldo as his Secretary-General a beautician with whom Poirot had fallen in love during a "gala" in the province. This is how Geneviève Mulmann made her entry in CMF, becoming Poirot's Trojan horse of some sort. The Poirot-Mulmann "couple" proposed to Rinaldo to move the committee headquarters inside a building in Saint Cloud that Poirot had "appropriated" despite protests from the owner - a poor Spanish woman refugee who did not have the means to defend herself. Rinaldo did not have any clue which trap he had fallen into. In the beginning, the galas and the coronations took place without any hitch. Rinaldo was the president, even though Poirot was already plotting to overthrow him. Eventually, the relationship between the two men deteriorated, and Poirot quickly took advantage of this situation by manipulating Rinaldo and his committee. Poirot and his accomplice, Geneviève Mulmann, started to distance themselves from Rinaldo and to spread the rumor that Poirot was now the new president of CMF, unbeknownst to Rinaldo who had not suspected anything since any change would have to be discussed in a meeting that he himself would convene. There was no reason Rinaldo would suspect the Poirot-Mulmann plot. In October 1972, he organized the twentieth "Miss Automobile" pageant in cooperation with the magazine l'Auto-Journal; the Poirot-Mulmann couple attended the event and had their picture taken by Villarejo, the official photographer of CMF. Everything seemed normal as usual, except that the Poirot-Mulmann couple had become the DE FONTENAY couple by the will of Poirot who wanted an aristocratic image. But things turned out ugly when Poirot sought to claim Rinaldo's job. How exactly did Poirot succeed in "overthrowing" Rinaldo? On September 25, 1956, a fake document showed that a certain Gilkin de Waleffe was the new president; this document was signed by the Secretary-General, Geneviève Mulmann, before she changed her last name to de Fontenay. However, Poirot was not content and he wanted more. A second fake document was produced on March 9, 1966 which showed Poirot as the President and Director and signed simply "Fontenay" and "G. Mulmann" as the Secretary-General. It is interesting to note that Gilkin de Waleffe, who was supposed to have been the president for over ten years, never did participate in any of CMF's activities. There was hardly any trace at all of this "ghost" president! De Villejoie stated in his first book, Les Dessous de la Guerre des Miss how and why he got fed up with Poirot's dirty tricks that he decided to stop attending events organized by Poirot and to attend only those of Rinaldo. In order to get contracts that would be more profitable for CMF, Poirot would offer CMF's services under false pretenses, signing contracts under his name without Rinaldo's authorization. Receipts of these contracts would be submitted to the Prefecture without being properly verified by an employee. The more Poirot would show up at the Prefecture, the more its employees began to recognize him as CMF's president under the name of Monsieur de Fontenay. De Villejoie discovered the false documents and showed them to Rinaldo who finally realized why some organizers kept telling him that he was no longer president and that they had seen the "document." Rinaldo sued, the trial was lengthy, and Poirot and his lawyers did everything in their power to twist the truth. Poirot even had the audacity to accuse De Villejoie as the mastermind behind the fake documents which, by the way, only showed the "new" members. The battle between Rinaldo and the de Fontenays continued for a long time, and while the battle was going on, the de Fontenays pursued their agenda while fudging the issue. DE FONTENAY - an aristocratic name that Louis POIROT had adopted to give himself an air of nobility and respect. POIROT convinced Geneviève MULMANN to change her last name to DE FONTENAY. Two years ago, MULMANN was sued by Catherine DE FONTENAY, a real aristocrat, for illegally possessing the latter's last name. Geneviève MULMANN - the real birth name of Geneviève DE FONTENAY. Geneviève DE FONTENAY - this is the popular name under which the Lady With the Hat prefers to be introduced. Antoine DE VILLEJOIE - Juan Antonio VILLAREJO, a well-known French-Spanish journalist,adopted this French name in 1950 for practical pronunciation purposes. "Villejoie" is a direct phonetic translation of the Spanish surname "Villarejo" and "Antoine" is the French version of the Spanish "Antonio." In spite of his illness, Rinaldo pursued his legal battle with his enemies; on July 7, 1976, he won his lawsuit. The "documents" fabricated by the de Fontenay couple were declared null and void and that Rinaldo was to remain always as the president. Geneviève Mulmann was expelled and Louis Poirot was forbidden to participate any more in all activities related to Comité Miss France-Miss Europe-Miss Univers. The headquarters was moved from Saint Cloud back to Paris, as it should have been, and new members were installed. Antoine de Villejoie replaced Mulmann as Secretary-General. The press picked up on this story; the newspaper Le Meilleur entitled it "The 'Miss' Scandal. Madame Poirot Expelled from Comité Miss France." While CMF rectified its rules, Poirot persevered in his disorderly conduct by slandering his rivals and filing lawsuits against them. Geneviève Mulmann, like a true disciple, assisted her master, even surpassing him. Rinaldo did not have any clue that the Duplicitous Duo were plotting even something more grand. On August 19, 1976 the Journal Officiel published the transfer of the CMF headquarters to Paris, but Poirot continued to behave as if nothing had changed. The Duplicitous Duo's penchant for ploys resurfaced when they submitted new documents to the Prefectures of Paris and Boulogne-Billancourt, making everyone believe that CMF had added new titles and its headquarters moved back to Saint Cloud. For example, on November 10, 1976, two months after her expulsion, Geneviève Mulmann and Poirot submitted a change of committee title and a confirmation of the transfer of headquarters to Saint Cloud. The original committee name - Comité Miss France/Miss Europe/Miss Univers - was illegally changed to Comité Miss France/Miss Europe/Miss Univers/Miss Monde/Miss Internationale, with Louis Poirot de Fontenay as president. The Journal Officiel picked up on this incident and published it. Issuing false documents was not the only craft in which the Duplicitous Duo excelled; they were also good in appropriating "beauty queens" that were never officially elected. A certain Yvette Labrousse was "crowned" as Miss France of 1932; Labrousse eventually married Prince Aga Khan and earned the nickname "La Begum". De Villejoie met Labrousse in Cannes several years later and took pictures of her; however, Labrousse refused to discuss her election as Miss France with the photographer. Then, Geneviève Mulmann approached a beautiful young woman named Christiane Martel who won the title of Miss Cin?monde and was eventually chosen by Rinaldo as Miss France 1953. Another girl, Claudine Auger, the "James Bond girl" of the 1960s, was also chosen as Miss Cinémonde and not Miss France as Mulmann would have the public believe. Poirot also handpicked popular bombshells Dalida, Gina Lollobrigida, Sophia Loren and Anita Ekberg and gave a beauty queen title to all of them. Finally, Poirot even gave two titles to Mulmann - "Miss Lorraine" (after a French province) and "Miss Elégance". To this day, Mulmann holds on to these titles, but there are no photos that would otherwise support her claims. Even Lorraine's major newspaper, Républicain lorrain, could not find any trace of Mulmann's supposed coronation. And when people ask Mulmann about the origins of her aristocratic last name and her two "beauty titles," she would simple respond with aplomb, "Mais c'est de notoriété publique!" ("But it's common knowledge!") She has been lying for so long that the media - who has been seduced by her big hats and daunting charisma - has chosen to believe in everything she says. Louis Pierre Joseph POIRT was born in Paris on October 23, 1906. Poirot's original birth certificate never showed the name "de Fontenay" on it. He was married twice, but never with Geneviève Mulmann with whom he had two other children, Ludovic and Xavier. In 1938, Poirot, along with a friend named Jean Lombard, were arrested for fraud. The two men pretended to be social workers and organized events to raise funds for sick and less fortunate people. They pocketed the money, estimated to be over two hundred thousands francs, and never paid the artists that performed in the events. In 1961, Poirot selected Luce Auger as Miss France. Poirot had known that Auger was already over 25 years of age and she was also an unmarried woman - but this did not stop Poirot from allowing her to enter the pageant since the contest policies did not specify whether unmarried women over the age of 25 were prohibited. Auger wanted to prove her honesty by not hiding any information from Poirot, so she signed her application form. However, Poirot modified Auger's description by adding the words "single, without child" - without Auger's knowledge. A few days later after her coronation, Auger was dethroned for "having lied" about her application. Auger sued Poirot and won. Poirot was sentenced to two months in prison and was fined for one thousand francs. Poirot was infamous for sending threatening letters and slandering some people including several candidates, most notably Muguette Fabris, Miss France 1963. Poirot gave the impression that he was a former member of the French Resistance and that he was a recipient of the Legion of Honor medal. This has been proven false. With Poirot's death in 1981, Mulmann was left on her own to continue the master's sinister ploys. On July 19, 1985, the Journal Officiel recognized Rinaldo's committee as the sole legitimate Miss France organization. But this recognition was insignificant to Mulmann who continued her fraudulent usage of the name Comité Miss France. As years went by, she became even more nasty. She would send threatening letters to Rinaldo's group and slanderous letters to the candidates themselves. She would order her staff to send faxes, forge De Villejoie's signature, and sign the faxes with his name. Whoever received the faxes automatically assumed that they were sent by CMF. Mulmann's biggest fault is that she is totally incapable of telling the truth to the media (this was the case during a press conference in 1999 when reporters demanded an explanation from her as to how she lost the franchise for Miss World). In spite of Mulmann's vindictiveness, several delegates, sponsors and even some members of her own staff finally felt the courage to speak out against her. In October 1995 during the coronation of a beauty queen in Lyon, Stéphane Marrant, manufacturer of crowns and purveyor of the Miss France crown, brought a newly designed crown to show to "Miss France 1995" and to Geneviève Mulmann. To his shock, Mulmann took and appropriated the crown, placed it on the head of her Miss France 1995, and told Marrant: "You owe us that crown after all the publicity that we have done for you." The reputable crown maker filed a complaint against Mulmann accusing her of theft and refused to collaborate with her in future "Miss" elections. Mulmann would do anything to thwart CMF's plans. For example, when CMF would hold its annual election of a new queen, Mulmann would send fraudulent faxes to the press announcing that an election had been cancelled for technical problems. She can also be vulgar. After losing the franchise for Miss World - allegedly for not having respected the conditions of the contract - Mulmann insulted Eric Morley (the founder of Miss World) by calling him a "big pig." She also criticized Donald Trump; in front of televiewers, she accused the Miss Universe pageant of being fixed and expressed her hatred towards Americans. Not too long ago during a television show, the former "Miss Elégance", carrying a champagne bucket, remarked to the host that she would urinate in the bucket, much to the disgust of the live audience. The host wittily replied that the champagne would no longer taste the same. Mulmann's brother, Paul Mulmann wrote her biography, Geneviève et les siens in which he states that she was married to Louis Poirot de Fontenay. The Committee of Miss France-Miss Europe-Miss Universe was created on October 15, 1954 by Guy LEVY (also known as RINALDO). The committee was declared official on October 15, 1954 at the Prefecture of Seine et Oise. On November 14, 1954, Journal Officiel published, on page 10731, the committee's Constitution of Administrative Council that reveals the four original members: Guy LEVY (a/k/a RINALDO) - the President and Founder; Geneviève MULMANN - Secretary-General; Claudine AKRICH - Secretary-Treasurer (LEVY's sister); and Henri MANDAGARAN - Historian (friend of LEVY). It is interesting to note that Louis POIROT de FONTENAY's name is nowhere on the list. On September 25, 1956, a fake deposition of the Administrative Council is issued at the Prefecture of Versailles by Genevi?ve Mulmann; a second certified version followed on December 16, 1958. In this fake deposition, one notices the disappearance of the names of Guy RINALDO (the President and Founder) and of his sister, Claudine AKRICH (Secretary-Treasurer). Their names have been replaced by that of a fictitious person, Meurice GILKIN de WALEFFE who becomes the president, and by a certain Laure HAZOUME who becomes Secretary-Treasurer. The Committee's Administrative Council never convened to make such changes and no notice had ever been sent to any of the four founding members. The question is, "How can one out of four members exclude two members (the President and the Treasurer) when Article 18 of the Statutes of Comité Miss France (CMF) states that: "Every decision must be made by the majority of the members of the Administrative Council." It is obvious that this document was fabricated and then submitted by Geneviéve Mulmann to the Prefecture of Versailles. Moreover, this modification was never published in the Journal Officiel. According to the law of 1901, it is mandatory that any changes regarding presidency be documented in the Journal Officiel. 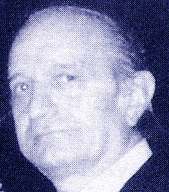 President Rinaldo, Secretary-Treasurer Claudine Akrich and Henri Mandagaran did not have knowledge of this "assembly" or of the so-called change of the Administrative Council, until in 1969 when an outsider checked the Committee files at the Prefecture and discovered the false deposition. A trial followed and the court recognized the illegal changes made in the Administrative Council. The same jury confirmed that Guy Rinaldo was the real president of CMF. It turned out after investigation that this Meurice Gilkin de Waleffe never existed; imagine - a fictitious person would be the president of CMF for over ten years! Consequently, handwriting experts proved that the signature showing on the false deposition was none other than that of Louis Poirot! Before Judge Parant of Nanterre, Geneviève Mulmann admitted that the signature "Meurice Gilkin de Waleffe" that appears on the pseudo-decision of the Administrative Council of September 25th, 1956 was fabricated by Louis Poirot (this fact was recorded in the transcript of a hearing dated May 16, 1988). Following the judgment of a court in Versailles, the President-Founder Guy Rinaldo, recognized in his duties, convoked the original Administrative Council that eventually expelled Mulmann and moved the headquarters from Saint Cloud to Paris ( this event was published in the Journal Officiel of August 19, 1976). However, forty-six days after her expulsion (November 10, 1976), Mulmann, who lost the right to act in the name of the committee from which she was legally expelled, added - in the organization's files which had not yet been physically transferred to the Paris prefecture - a false statement (supposedly by the Administrative Council) concerning a "change" in the title of the organization that became: Comité Miss France - Miss Europe - Miss Univers - Miss Monde - Miss International, President Louis Poirot de Fontenay. The declaration of this false statement was published in the Journal Officiel on December 3, 1976 on page 6976. From then on, Mulmann would not make any attempt to get back into the organization; she could neither speak for CMF nor act in the name of it. The CMF files that had been stored in the Paris Police Headquarters since 1976 would be transferred illegally to the Sous-Prefecture at Boulogne-Billancourt at the request of an individual who was not involved with CMF. The first attempt of an illegal transfer in 1988 failed, but a second one succeeded two years later. It is important to note that the transfer of the Committee's headquarters could not have taken place without a unanimous vote by the members of the Administrative Council. Furthermore, no record of such transfer was ever published in the Journal Officiel. And because of this incident, Rinaldo and his associates demanded two things: first, an explanation for the illegal transfer of the CMF files, and second, the prompt return of these files to the Paris Police Headquarters from where they should have never been removed. - La Vérité tirée du chapeau, pp 7-9.